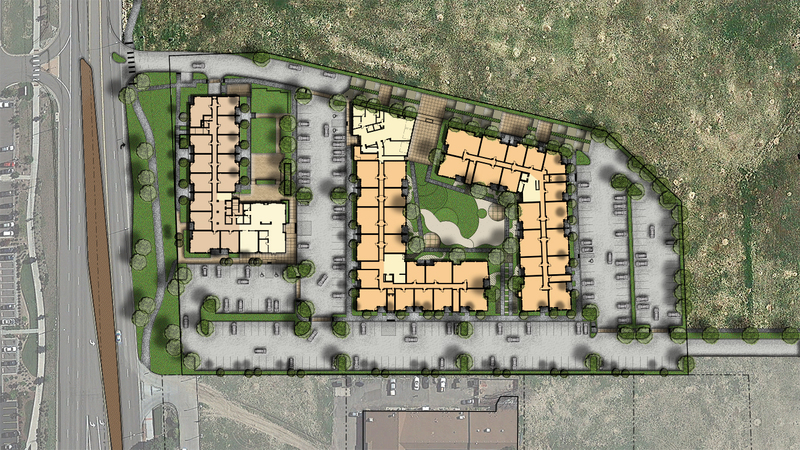 Crossing Pointe, is an affordable senior and family housing community located adjacent to the Colorado & 104th St. light rail station in Thornton, CO. Thou within walking distance of community serving retail, the site is bounded by permanent open space on two sides. The disposition of the site plan incorporates 3 buildings organized around landscaped courtyards that will serve as extensions of the various amenities that are provided. The building features and courtyards both appeal to community building and promote healthy lifestyle by providing spaces for interaction and healthy activities like vegetable gardens, active play equipment and gathering plazas. Two of the buildings will be four story multifamily residential while the third one is a senior living building. 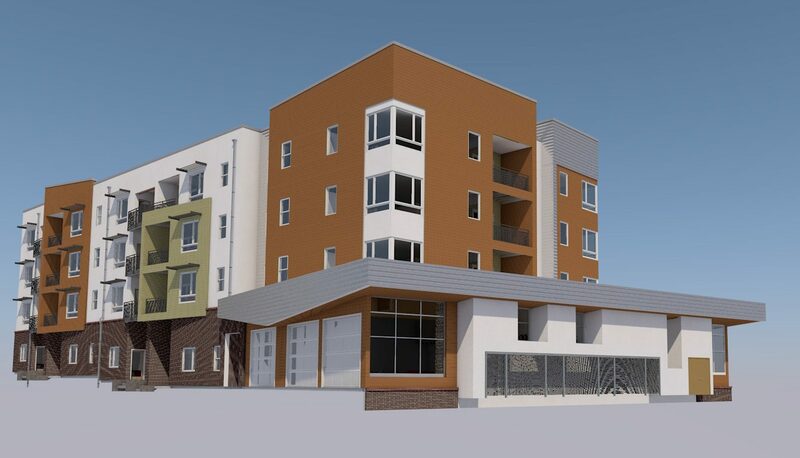 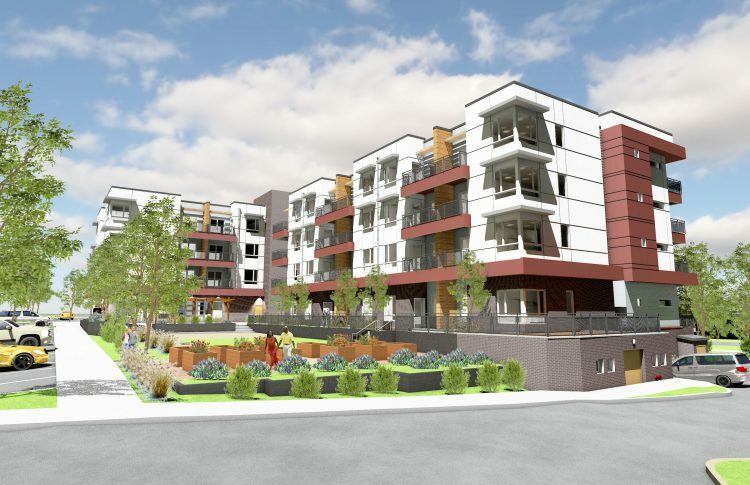 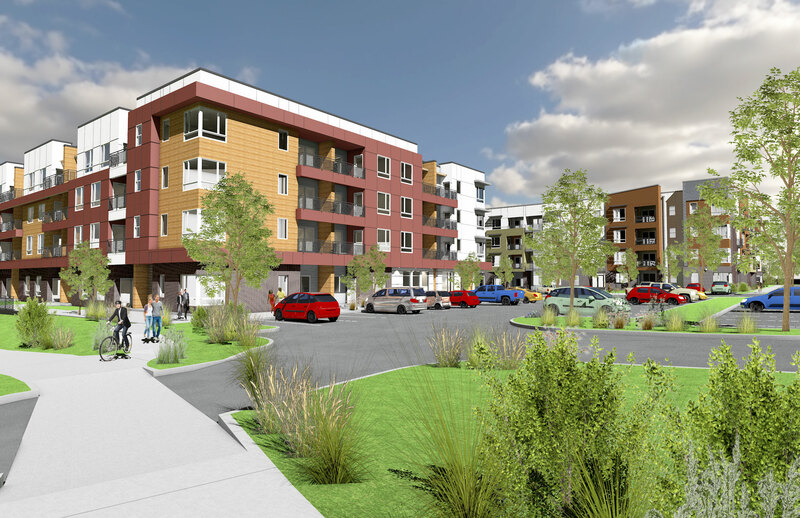 All three will provide 206 dwelling units with surface and underground parking. 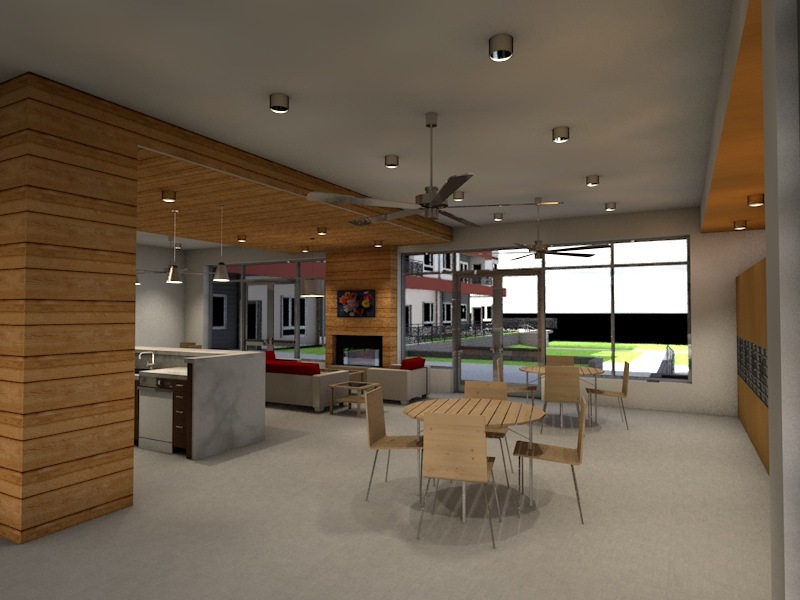 The units at grade have walk-up entries and patios fronting the courtyards, while the higher units enjoy mountain views to the west. 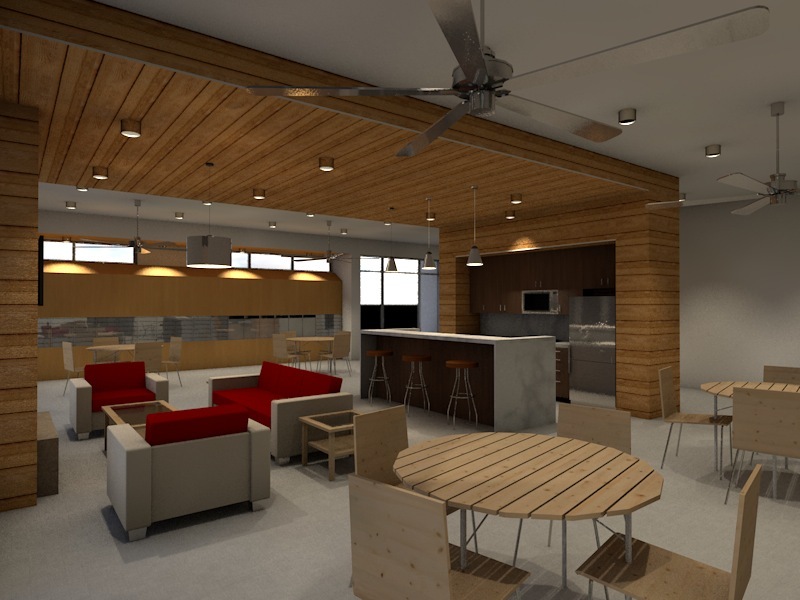 Two communities centers or clubhouses create gathering and amenity spaces for the senior residents as well as for the families in separate facilities.